Our prowess in the pulley manufacturing has enabled us to produce an unrivalled range of chain pulley in India, which is an essential part of the enormous industries to for its high speed, longevity, corrosion proof attributes. This chain pulley is suitable to carry loads up to 50 tones, thanks to the long lasting body made from the premier quality metals. 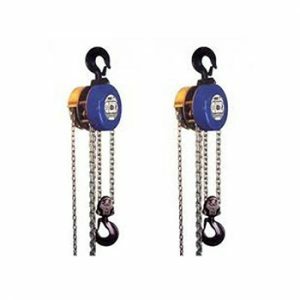 In order to match the different deed of the industries, we have made this chain pulley available in the variable size at the most competitive prices in India.